February: The Second Taurian Pride and the Taurian Defense Force V Corps battle for control of Gaul. April 2nd: Peter Steiner-Davion kills Nondi Steiner in single combat in Tharkad City. April 5th: Forces under the command of Morgan Kell and Peter Steiner-Davion secure Tharkad for the Allies. April 20th: The Second Battle of New Avalon ends in victory for Allied forces under Victor Steiner-Davion. The FedCom Civil War ends. May 8th: A Trial of Possession is fought between Clan Ghost Bear and Clan Nova Cat over the WarShip Rasalhague. August 12th: A raiding force from the Tortuga Fusiliers is defeated by the planetary militia on Charleston in the Taurian Concordat. September: The Third Taurian Lancers forces on Hyalite retreat in the face of resistance from the Second Albion Training Cadre. October 15th: Wolf's Dragoons attacked on Outreach by Word of Blake-supported mercenaries. October 15th: The Word of Blake Jihad starts with a Blake-supported attack by underemployed mercenaries. November 3rd: Clan Snow Raven assaults the planet of Antallos. December: The campaign on Luthien begins. December: The Voice of the Dragon compound on Luthien is captured by the Kokuryu-kai in the last week of the year. December 5th: The Word of Blake assaults Tharkad, with a bombardment by the LCS Invincible. December 5th: The Word of Blake assaults New Avalon. December 11th: The Battle of McCarel Farm takes place on New Avalon. December 15th: The Northwind Highlanders are blockaded on Northwind by the Word of Blake. December 20th: A Word of Blake flotilla arrives in the Outreach system and destroys two Wolf's Dragoons' WarShips. December 28th: The Word of Blake blockades Outreach. December 30th: The Black Dragons gain control over Luthien. December 30th: Blakist forces conquer Epsilon Indi. December 30th: Blakist forces conquer Fletcher. December 30th: Blakist forces conquer Tall Trees. January 23rd: The TDF launches its Pleiades Campaign. April 24th: Peter Steiner-Davion is declared the Archon of the Lyran Alliance. April 24th: Yvonne Steiner-Davion named Regent of the Federated Suns. April 29th: Peter Steiner-Davion is ratified as the Archon of the Lyran Alliance by the Estates General. May 21st: The Truce of Tukayyid expires. August 8th: Wolfnet releases an updated edition of Technical Readout: 3026. September: Dagger Publications releases Handbook: House Marik. September 8th: following the death of four Clan leaders, the Northwind Highlanders return to Northwind for elections. October: The New Avalon Institute of Science's A Brief Primer on the Federated Suns is presented to the Federated Suns' Ministry of Foreign Relations. October 5th: The League Parliamentary Archive Services licenses and re-releases Handbook: House Marik within public briefing documents. October 10th: Hall joins the Free Worlds League Protectorate. November 5th: The Federated Suns' Ministry of Foreign Relations publishes Handbook: House Davion. November 15th: Bertram Habeas' Handbook: House Steiner is published by the Cheskwa School of Literature. November 17th: Evann Kaplan Soong's Handbook: Major Periphery States is published by the InterStellar Associated Press. November 28th: The second Star League disbands. December 19th: The HPG on Luthien stops transmitting. December 21st: Clan Nova Cat forces across Draconis Combine space suddenly return to the Irece Prefecture. December 21st: Black Dragon Society forces on Luthien launch a coup against the government. The Magistracy of Canopus annexes Detroit. The University of Sian Press' Handbook: House Liao is published. February 17th: The Dancing Joker is killed by Minoru Kurita. April 2nd: Nondi Steiner is killed on Tharkad by Peter Steiner-Davion. April 20th: Ardan Sortek is killed on New Avalon. April 20th: Simon Gallagher commits suicide. October 18th: Jaime Wolf and Wayne Waco die in single combat. December: J. Elliot Jamison is killed on Outreach. Light Ferro-Fibrous armor is put into production. 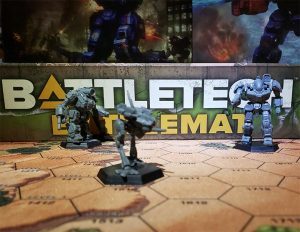 The AWS-10KM Awesome BattleMech variant is introduced. Clan Jade Falcon introduces the Heavy Flamer and the ER Flamer. ComStar unveils the Extralight Gyro. Federated Suns scientists create the small cockpit. Draconis Combine deploys the Heavy-Duty Gyro, the Heavy PPC, the Light PPC, the Snub-Nose PPC. The Free Worlds League puts Light Ferro-Fibrous armor into production. The Word of Blake puts the MML-3, MML-5, MML-7, and MML-9 into production. Lyran Alliance deploys the Anti-Ship Electronic Warfare Missile and the Endo Composite Structure, as well as production of 'Mech HarJel System. ComTech introduces the MIT 23 MASH Vehicle. Clan Snow Raven's Battle Armor Facility Alpha begins production of the Aerie. Hector MechWorks Facility Beta of Clan Ice Hellion and Olivetti Weapons of Clan Jade Falcon begin production of the Afreet battle armor. Clan Nova Cat's Barcella Battle Armor Facility and Clan Diamond Shark's IndustriPlex-C both begin production of the Clan Battle Armor. C-904 Katya Ground Assault Craft is unveiled by Ceres Metals Industries for House Liao. Clan Ghost Bear begins production of Golem battle armor. 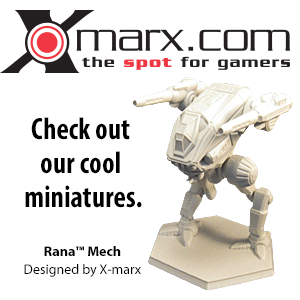 BattleMech Shield is introduced and prototyped on Solaris VII. Pegasus Passenger VTOL is introduced limited production in the Lyran Alliance. Durandel-British developed the "Blue Nova" Convertible. The HildaCorp Consortium introduces the ninth series of the Meteos Manned Dirigible. Prior to a recall later in the year, Swiftran VTOL transports produced this year before June 29th developed thrice-fatal engine synchronization failures. The year 3067 is the standard date for when the storyline is picked up by FanPro, after FASA sold the BattleTech franchise. As such, many sourcebooks are set in 3067, including the Handbook series, A Guide to Covert Ops, and Field Manual: Updates. This page was last edited on 3 April 2019, at 07:58.